How do you find a voice in the competitive coffee category? How can you encourage trial of a product in a space where most people remain infinitely loyal to their tried and true brands? How do you even begin to introduce a new line and find a distinctly unique story that’s all yours? 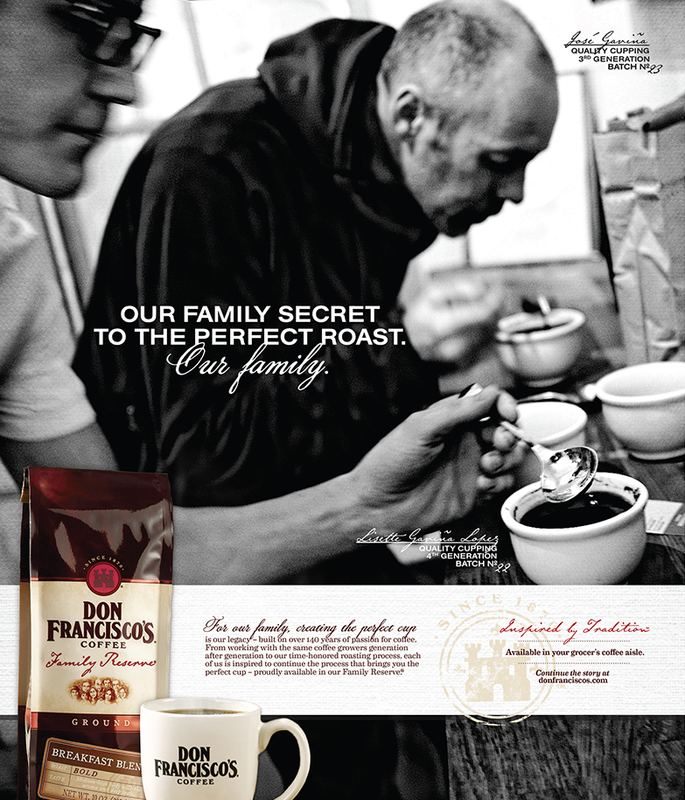 The art of roasting is more than just a term for this brand; it’s a lifestyle and an inspiration in this family’s heritage. 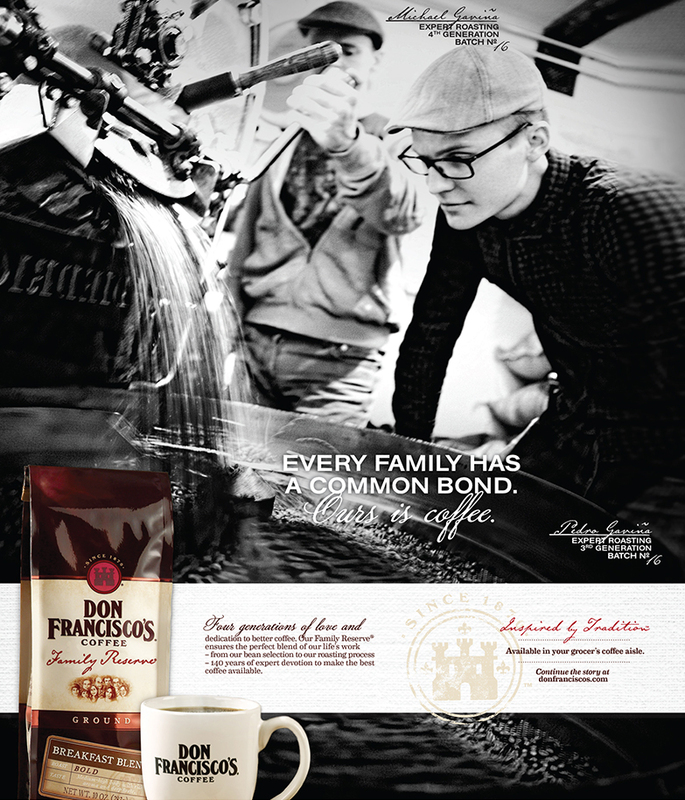 Reposition the coffee brand based on its rich foundation with an emphasis on lifelong passion and deep dedication. Focusing on their story, weaving the “inspired by tradition” voice of this brand through the execution and touch points, we introduce consumers to a rich flavorful cup at every turn.